reph babies | "In good writing, WORDS BECOME ONE with things." 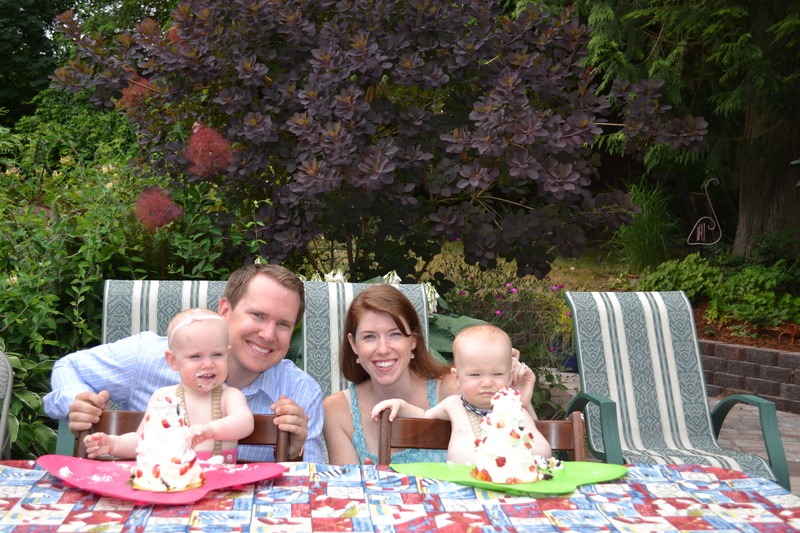 On July 26, Henry and Arden turned one. 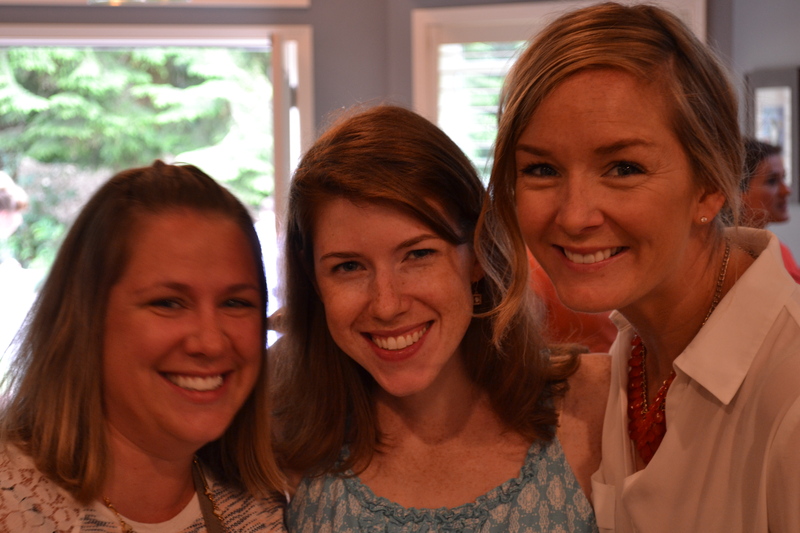 We had the party on with a brunch on July 19 because we were going to be on the east coast at the wedding of the year on their actual birthday (details on that grand affair to follow). 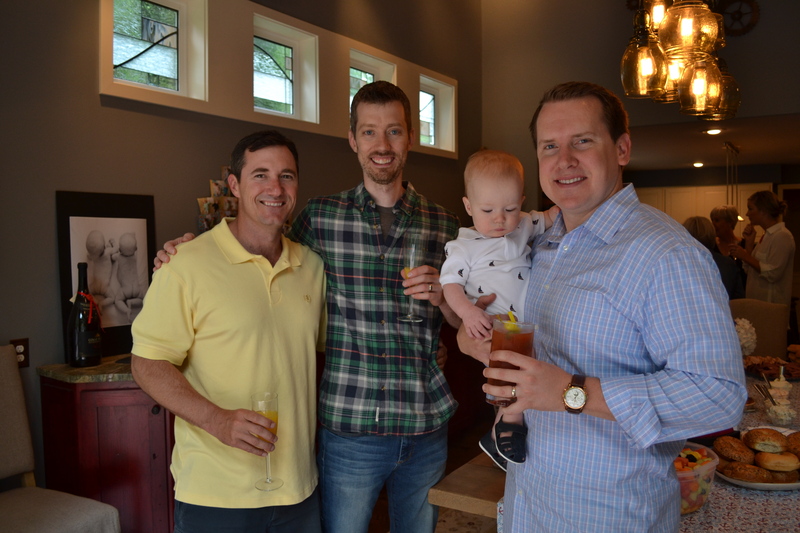 A huge thank you to my gracious parents for offering their beautiful home as our location! The theme, as you may be able to ascertain, was Anchors Aweigh! I chose this for several reasons, the first of which was its gender-neutrality. Next it said “Adventure!” and lent itself to overtly preppy clothes, of which I’m extremely fond. Yes, Arden’s shirt has anchors. Yes, her pink shorts are sailor shorts, not that you can tell in that photo. 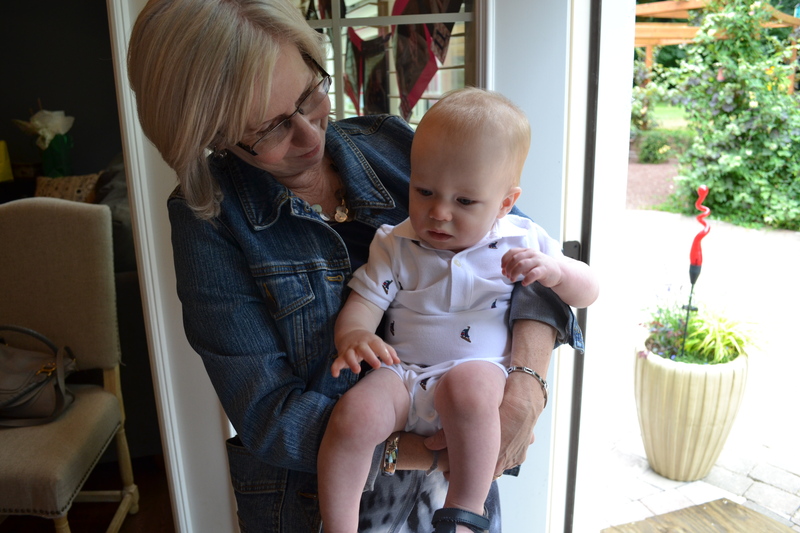 And yes, Henry’s romper has embroidered sailboats. This was half the fun. This post is going to consist mostly of pictures, rather than weighty insights about them turning one, because I’ve covered that territory. Besides, who could complain about twinsy pictures? Before the earth spins off its axis, I should just say it: yes, I crafted! I made things! I shopped! I loathe all of these things, but as their birthday approached I heard that creepy whisper (lie?) that all mothers hear that says: “If you don’t make things for their birthday with your own hands, what kind of a mother are you?” I have a strong suspicion that I’ll be deaf to this whisper within three years, but for their first birthday, I went for it. 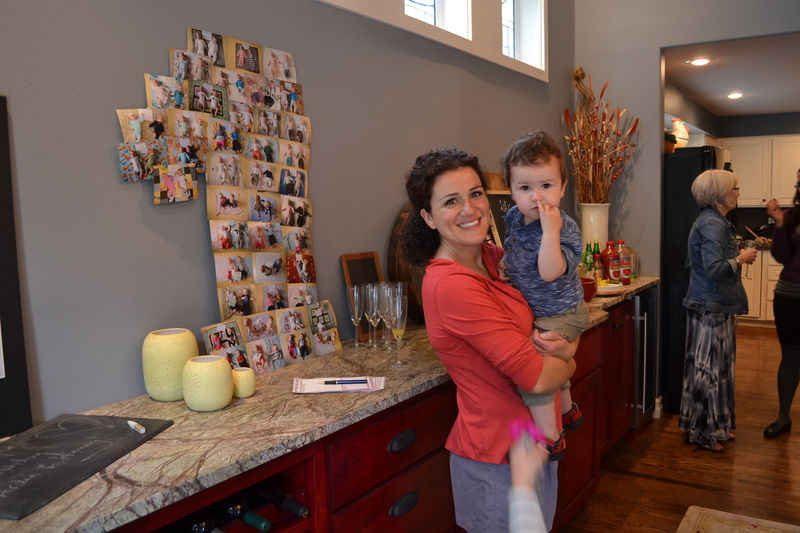 The giant “1” behind my beautiful friend and her son is made up of the 43 weekly pictures I took of the twins to chart their growth through the year. It’s so fun to look at up close, and I wish I had a better picture of it. 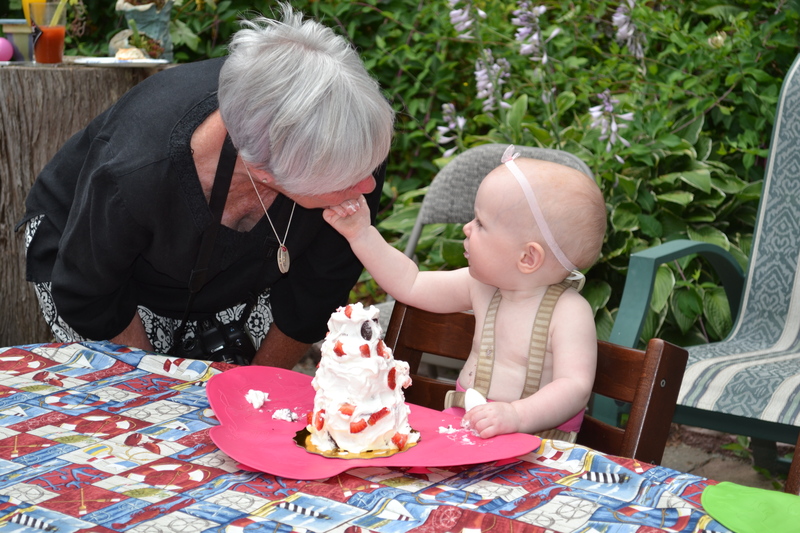 There are only 43 because I started doing it when they were seven weeks old, and I couldn’t include the last two weeks due to their birthday party date. I also strung up all eleven of their monthly photos, but sadly, I forgot to take a picture of that. But it’s a craft! 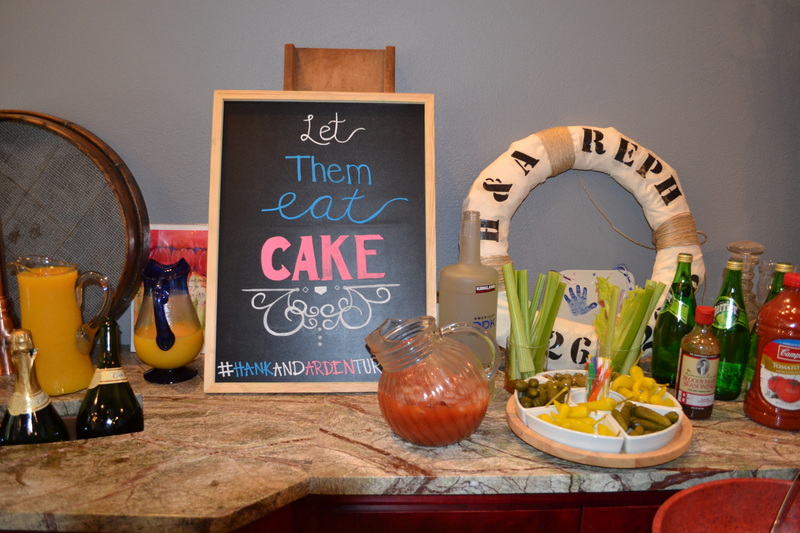 Yes, that’s a mimosa and bloody mary bar. 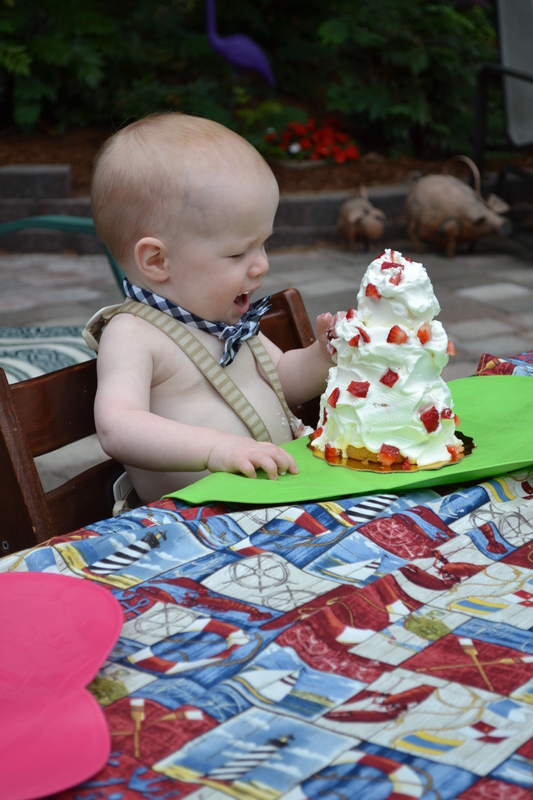 You didn’t know this major rule of hosting a one-year-old birthday? You do now. You’re welcome (your guests will thank me). I could go on about the enormous printed pictures and handmade themed tablecloths (thanks Mom! ), but I think you get the idea. Let’s move on to the real meaning of the day: the people. The twins and their Grandpa and Papa! 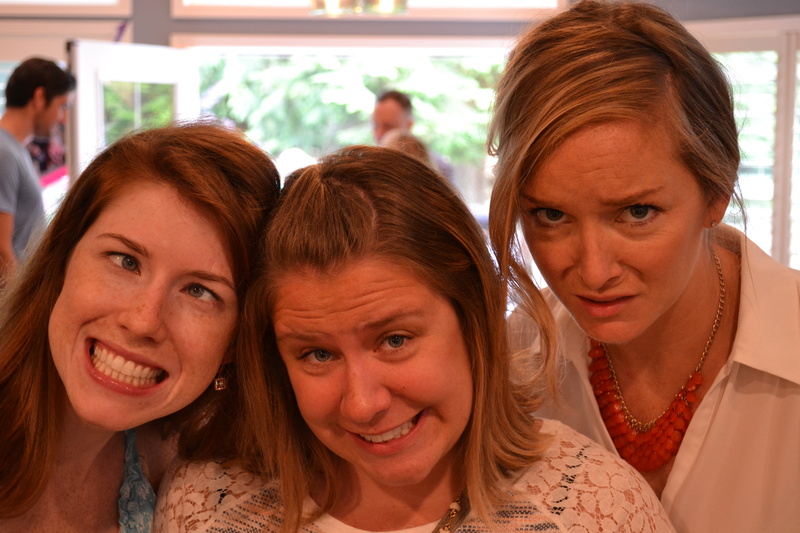 Best friends/family with the birthday boy, who is judging/desiring that Mary. 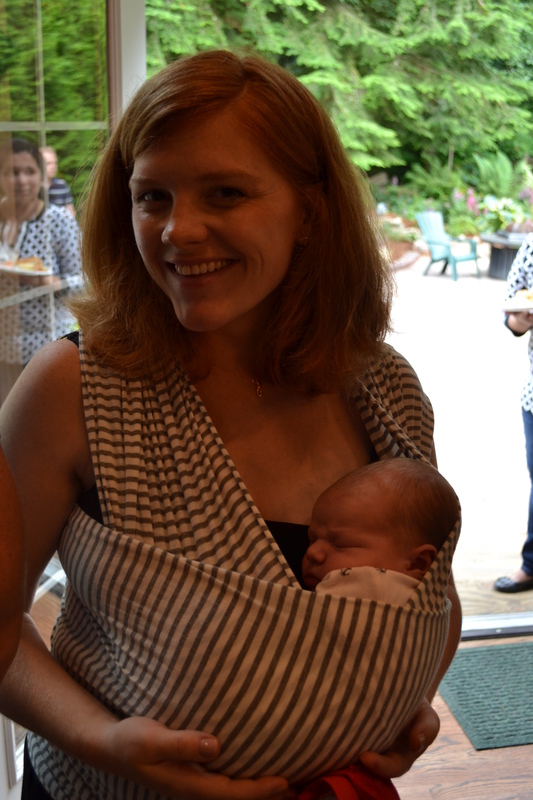 We had this gorgeous new mom and our youngest guest, her eight-day-old Gardner! This is a recreation of a ten-year-old photo. We do unattractive well. And another set of twins! I could share so many more photos of the dozens of treasured family and friends in attendance, but then this might begin to feel like a roll call. So let’s cut the cake! Erin and I made their little three-tier cakes, with alternating chocolate and vanilla cake. Erin made the whipped cream from scratch to serve as frosting, because this was the babies’ first taste of sugar and I thought heavy, processed icing might make them sick. Or maybe I thought they’d devour it and then be sick. Either way. 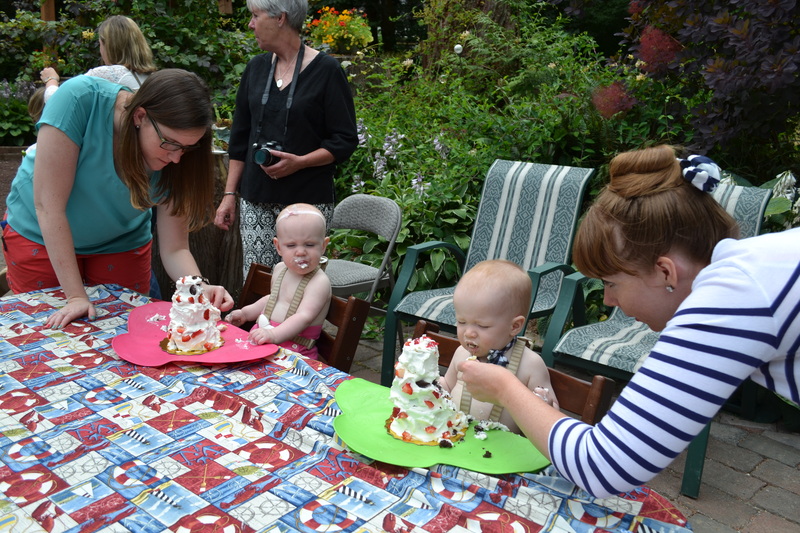 We helped them blow out their candles after singing to each of them, and then we let them at it. So the aunties jumped in to give them some backup. I have to admit I felt the strangest combination of disappointment and pride. I really wanted them to go hog wild, but when they didn’t I felt a little like, yesssss, my Seattle hippie mom moves are paying off! They don’t care about sugar! Time has proven this not to be true at all (ice cream, I’m looking at you), but I enjoyed the fantasy for that day. 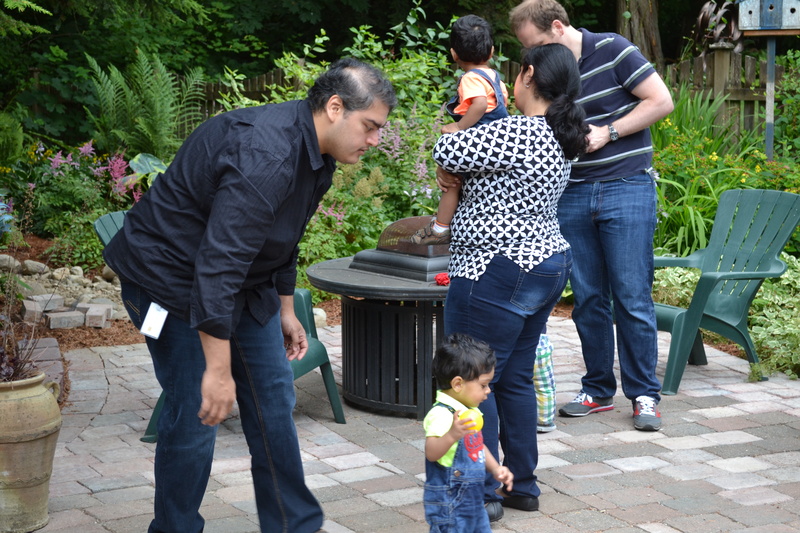 Non-love for cake aside, we had a wonderful day celebrating a wonderful year. Mike made a lovely slideshow that made me cry, and we got to stop for a moment and acknowledge the richness that’s been added to our lives in the form of our two most precious people. We also got to high-five the accomplishment of surviving the first year. Not insignificant, I must say! Happy birthday, Henry and Arden! You know that musty smell you’ve been noticing, the one that you can’t put your finger on but smells vaguely of dust and maybe a twinge of rot? It’s not coming from your fridge, your shower, or even your garbage disposal (you’re welcome for those visuals), it’s coming from your computer and/or mobile device…because this blog has been decaying for two months. It has been radiating the stench through the interweb and into your home, and for that I must apologize. I don’t think I’ve ever stalled this long between posts, although don’t go running over to the sidebar to check that statement via the archives. All I can say, which is exactly what you know I’m going to say, is twins. Twinnage. Twinning. Right around early July everything picked up in my not-online life because of planning the twins’ birthday party as well as our first trans-American flight to Pennsylvania. It shatters the mind to comprehend the number of errands and thankless chores that went into each of these endeavors, but I can confidently say it was all worth it. The birthday was a truly lovely time (I only cried once!) and the trip east was a week I will treasure forever (they didn’t cry once on the plane — okay that only applies to the first flight, but STILL). In case those situations are not sufficient excuses, Mike traveled for two weeks in early August, and do single mothers blog? Maybe they do, but are their kids still alive? 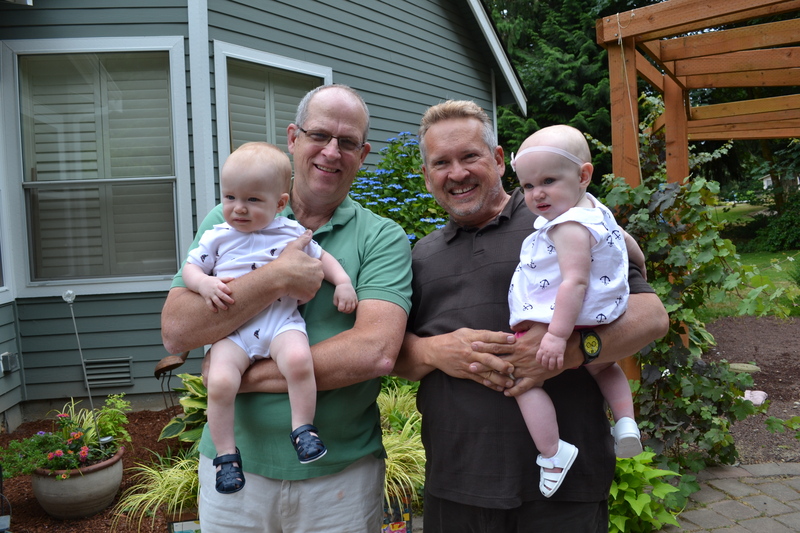 I have no idea how this could be accomplished, but I wasn’t entirely single, as my blessed sister Erin came to stay with me the first week, and the second week the twins and I took a three day trip to Oregon to visit my grandmother. My mom also spent the night once. There was not a LOT of single motherhood going on, but can we agree this contributes to the theme of summer blog silence? Now that I’ve gotten that paperwork out of the way, I hereby resolve to get my act together and become something resembling a regular blogger. Because I know you’re waiting with breath that is baited (name that show) for more juicy tales from the exciting halls of Twin Reph University (go TRU!). In the meantime, a few gems from the last two months (it pains me to write “two months” again, and now I’ve done it three times). 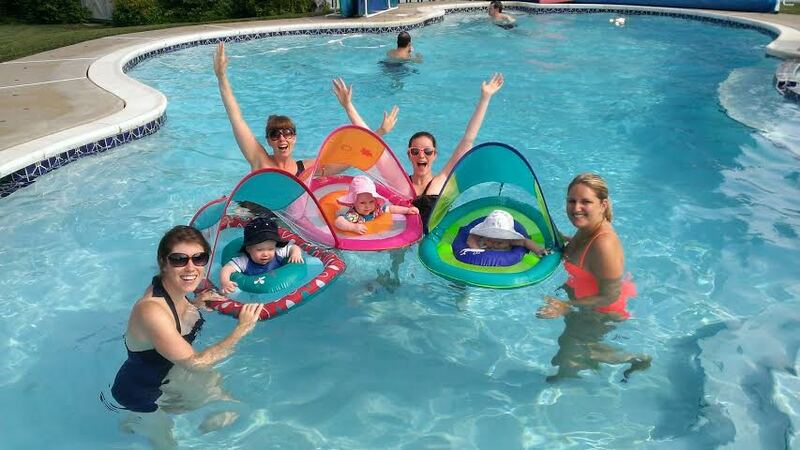 Just a cacophony of fun in the sun with our cousins in PA — including the newest addition, Avery. Photographing these three together proved irresistible. Note that they are virtually the same size but, per Avery’s onesie, she is six months old, whereas my darlings are two days from being one year. Love. It. The birthday party! Massive announcement: I made that life ring in the background (correction, Sam really did most of the work). 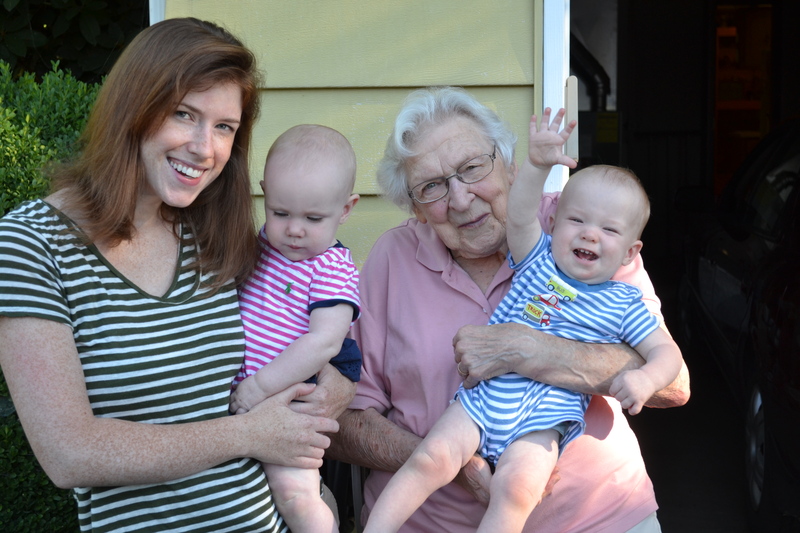 Visiting Grandma (Great Grandma to the babes!). Otherwise known as: stripey family heads south. This is far and away the most spectacular thing ever to happen in my and Mike’s life, and we’re completely astounded that God would give us two. TWO! 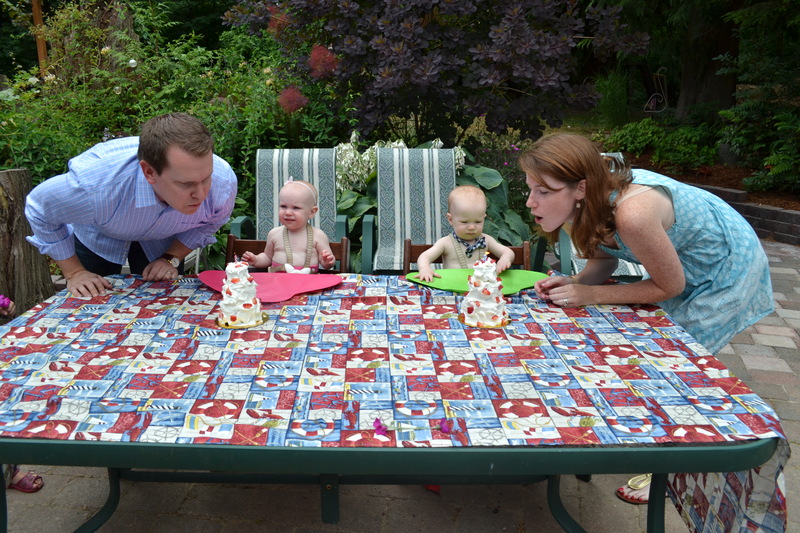 I have never talked about it on this blog, but I have wanted twins for many years. Not just wanted, craved. 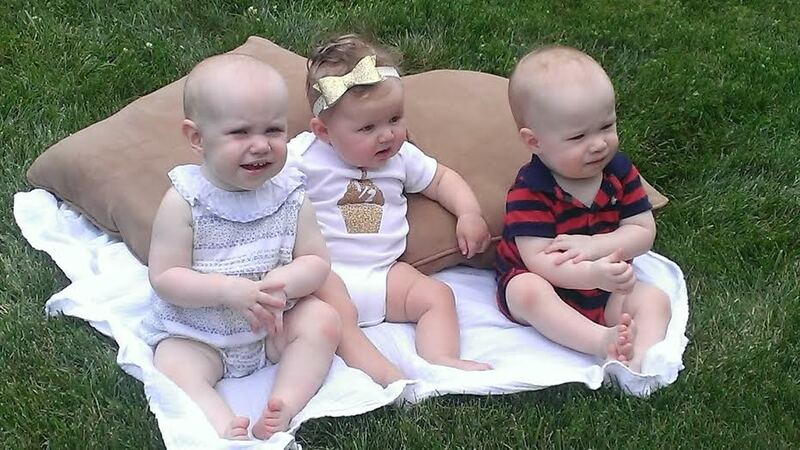 I’ve never really fantasized about having a baby, but twins consistently made me feel overcome with desire. This cannot be logically explained beyond the fact of what my mother said to me upon finding out I was having them. She’s absolutely right. There’s just no other explanation. But let’s back up, shall we? Let’s replay the scene of Mike and Abby finding out this little tidbit of information. We found out we were pregnant shortly after Thanksgiving, and we went into the doctor for our eight-week ultrasound about three weeks later. We answered the nurse’s standard questions of our medical history and that of our families, I got checked out for overall health, and then the OB-GYN came in. She looked exactly like Elizabeth Banks, which made me like her right away because nothing proves you’re already a good mother than judging your doctor’s professional abilities solely on youthful good looks. “It’s true, she always has,” Mike chimed in. She lead us down the hall to the ultrasound room and we were clearly excited, but also nervous. As I changed into the tent-like gown, Mike held my hand and told me that if there was nothing in the ultrasound, it would be OK, and we could try again, and not to worry. I agreed completely, but told him if nothing was there I would cry a little bit, but then I’d be fine. With that healthy communication out of the way, in walked the doctor. She turned on the monitor and proceeded to move the wand around, and said, “OK there it is,” but before she could even finish that thought she gasped and said, “OH MY GOSH THERE’S TWO.” Her eyes were enormous and she pointed to the screen where we saw two tiny glowworms with hearts that fluttered like confetti. My mind went white hot with a rising hope so intense my only way to cope was to confirm, again, and again, and again. “Are you serious? Are you joking? Are you serious? Are you serious? Are you kidding? Are you kidding?” I said this to her in an absolute blur, talking as fast as I could while I watched her face and the screen, back and forth looking for this to be real, because if it was, my whole life just got made. I believed, but the happiness was so extreme that my heart and brain couldn’t function on a rational level, so I started laughing, laughing so hard I couldn’t breathe, laughing with the most outrageous joy I’ve ever felt in my life. Finally I crawled out of myself enough to think…Mike. What does he think? 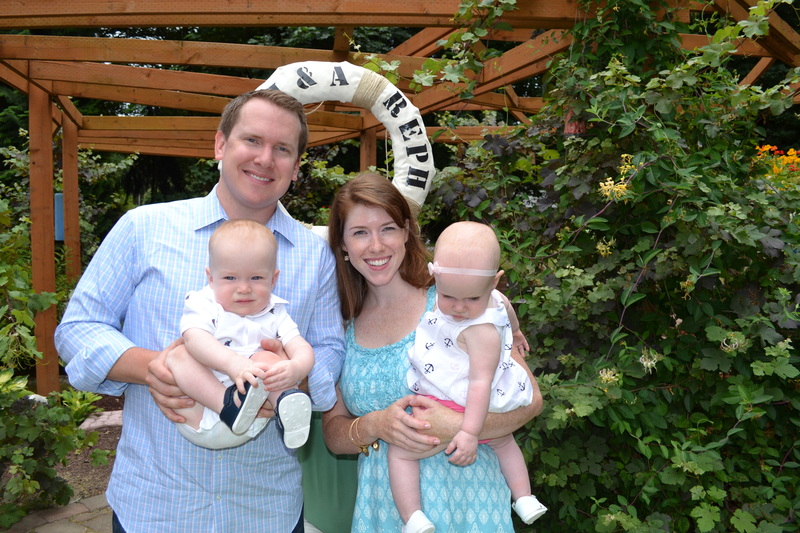 He didn’t want twins the way I did…and I turned to him and saw the biggest smile I have ever seen on my husband’s face. His eyes were the size of sand dollars, but it’s that smile I will always remember. We hugged in a way that conveyed everything our overwhelmed souls couldn’t express. It was the fiercest hug we’ve ever shared. It was as if the entire night sky had exploded in that room, every twinkling star, the wide full moon. Everything in our lives was instantly transformed, instantly ruptured into a creation more beautiful than we knew possible. My uncontrollable laughter (that was still going on) was the only way I could function as I realized my most absurd, least attainable, out-of-my-control dream was coming to life. Two lives, actually. “You’ll have to stop laughing for a second,” the doctor said while laughing herself, “or I can’t get a photo of them.” Every time she snapped a picture, one of the twins disappeared because my stomach muscles were all over the place with belly laughs. “I will,” I said, trying to breathe, “Just one second. You are witnessing the most surreal moment of my entire life…” and I burst out laughing again, feeling exactly like the second grader who tries to hold in laughter at the most inappropriate moment. 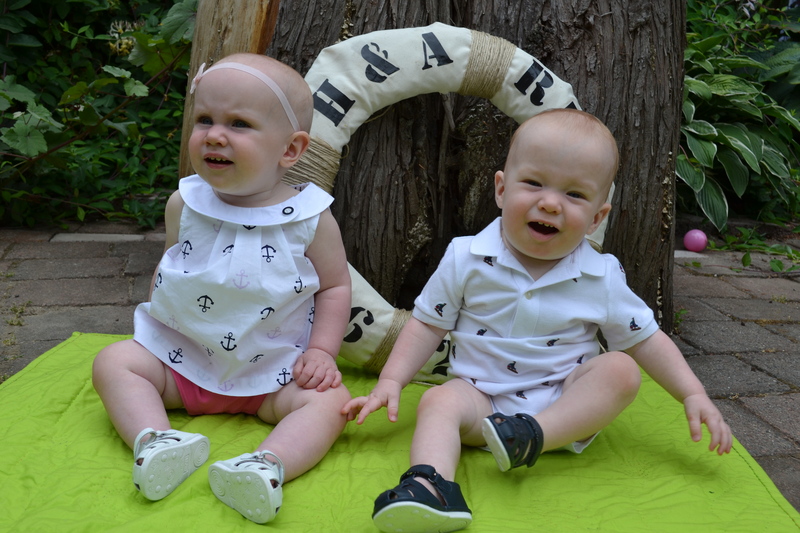 I took stuttered breaths so she could get some good shots, and then she said she couldn’t tell yet if they were identical or fraternal, but that we’d likely know at the next appointment. When we got back to the exam room, we were on a kind of high that happens only a handful of times in a person’s lifetime. The doctor wanted to get right down to business (“I need you to understand that breastfeeding will be your full-time job”) but Mike and I kept interrupting with new revelations. I was, I couldn’t stop. I tried to listen as she told me to add 600 calories to my daily diet, but the sheer joy in my body was crowding everything else out. I couldn’t stop thinking what that must have been like for the Lord to see us — He always knew there were two, and on this day He finally got to see us be let in on the secret. It still blows my mind. A nurse poked her head in the room after the doctor left and said, “So! You and the Duchess!” Which was like a kiss, it was so sweet of her. She couldn’t possibly know my obsession with Kate, and yet she reminded me we were pregnant together. We went to lunch to celebrate and couldn’t even order food, due to shock. The waitress came by four times to take our orders and we hadn’t stopped gaping at each other long enough to look at the menus. Finally Mike blurted out, “I’m sorry, but we can’t order because we just found out we’re having TWINS!” She shrieked and congratulated us and then came running back five minutes later to tell us she’d told the whole staff. We just laughed. 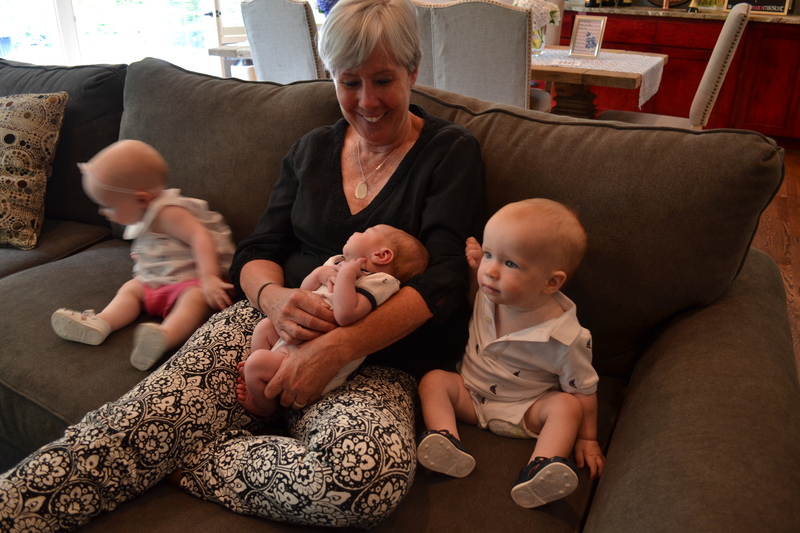 The doctor told me I would measure about four weeks ahead of a woman pregnant with a singleton (can you believe doctors have this robotic word for babies who aren’t twins? 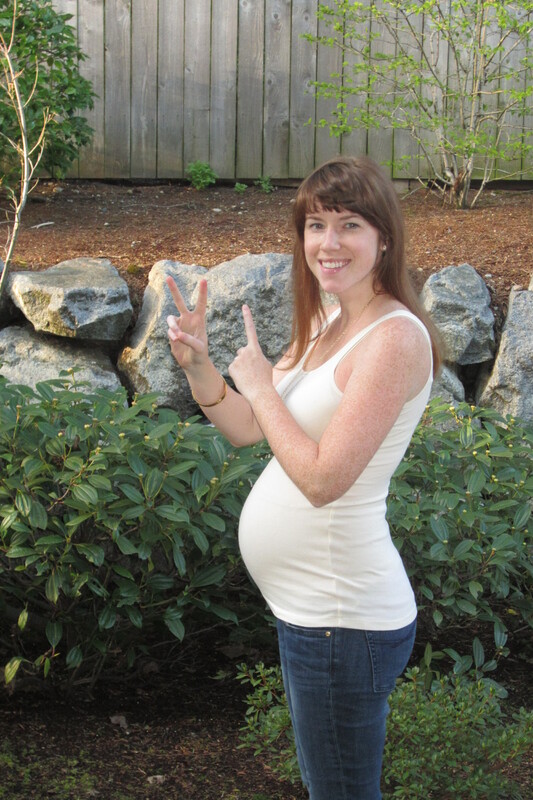 ), and the bump is not disappointing. More to come…much, much more.